With the rise of ebook readers and distribution platforms, there is no looking back in both ebook publication and consumption. 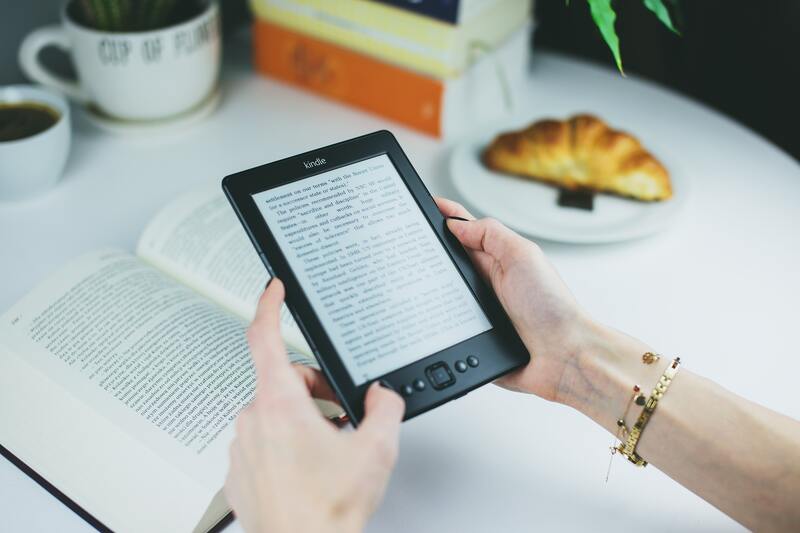 According to a survey report, number of ebook readers in the United States alone was expected to reach 92.2 million in 2019. The popularity of ebooks is often contributed to low pricing, easy availability, and negligible maintenance. Thus, authors from around the world are including ebooks to their content strategy. Publishing ebooks is a great way to present broad topics in a structured format, which is quite difficult to cover in the blogs or websites. If done right, it helps in establishing your brand as a thought-leader and gaining credibility amongst the audience. Even more, it helps in establishing an email list and increases the chances of conversions. Unlike blogs, ebooks are more detailed and offer immense value to the audience. This demands the topic to be of readers’ interest and what they are searching for. You may create or utilize existing user personas to closely target their needs and preferences. It’s a good idea to review the questions asked by the audience, reading their comments on blog posts, or directly asking them for suggestions. The most significant step of the ebook creation process, it takes time. Invest time to research and conceptualize how you want to start, what all you want to include, and how to conclude. This requires you to being creative, streamline your ideas, and represent expertise in the best possible manner. It’s often recommended to support your thoughts with measurable facts and figures. This not only results in a winning ebook creation but also boosts credibility in your industry. Other than writing from scratch, you may repurpose existing blog posts to deliver valuable ebooks. Or, you can collaborate with experts in your field to enhance worth and reduce the effort. To stay organized, you may choose to create a content calendar and plan your creation and distribution schedule. Table of contents defines a book, whether print or digital. However, the ebook has an advantage of adding a dynamic TOC, where a user can instantly navigate to a specific chapter or section. This is made possible with efficient software like InDesign, where you can insert jump links to your creation. Not only this, reference to external resources may be included by adding hyperlinks. Add visual elements like infographics, etc. Before you proceed to distribute your ebook to the audience, make sure to test it and avoid any sloppiness. Assure the alignment or readability on all screens or even in print. If there’s a lag, tweak your content so that the final copy falls in place. You may choose to get it reviewed from the proofreaders, your peers, or anyone having the desired skills. Once you’ve created your ebook, publish it on your own website, distribute through emails, or publish to the app stores. There are various digital publishing platforms that assist in distributing your ebooks to the target audience. With the innovative, cost-effective mag+ platform, you can create and publish outstanding ebooks, packed with interactive features like audios, videos, jump links, and others. That’s it, start sharing your ebook with the audience out there and win the publishing game!